Purpose is the word of the moment. It’s become fashionable, and often used when defining a company's strategy and values, but what does it mean and how does it manifest itself? 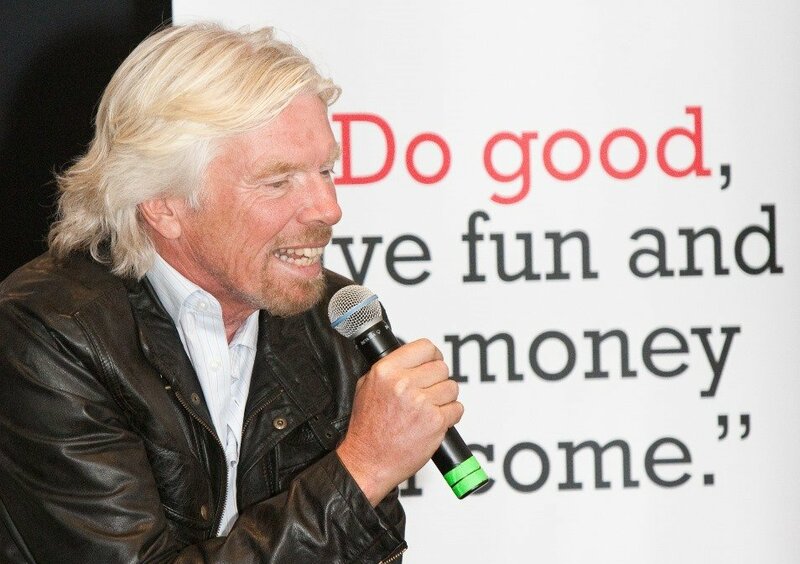 The importance of Purpose in business was firmly in the spotlight at Davos. I attended a discussion on how organisations can achieve "Purposeful Transformation", based on a study by Ernst and Young and the Said Business School in Oxford. Purpose a core part of their operations and their plans for the future. It was a refreshing and practical debate, shedding light on how Purpose is often poorly understood in the context of business. It’s always been my objective to create businesses with a defined Purpose beyond just making money. At the age of 15, I started Student magazine to campaign against the Vietnam War and mobilise opinions of a young generation concerned about the world. Almost 50 years later, our newest investment in OneWeb is also very much a Purpose-driven business, looking to create the world’s largest constellation of satellites to bring connectivity and communications to billions who don't have access to the web. Each of the business leaders on the panel explained the impact their companies could have through their products and services. They all made it clear Purpose was not optional to their businesses and that by "doing good, you could do well". They underlined it has to be driven by leadership, and is only effective if it affects every facet of the business. Paul Polman described how this agenda has dominated Unilever's product innovation. His team has developed a soap that cleans hands in 10 seconds and not the usual 30 seconds – reducing the water needed to wash hands and encouraging kids to wash their hands; improving the chances of children in developing countries to live beyond six years old. The impact has seen sales rise, and the innovation has spread to Unilever’s supply chain and people policies. The results are wonderful: respect for Unilever is sky high; suppliers want to work with the company; staff are engaged; and it is one of the best followed pages on LinkedIn, creating a strong supply of new talent. Antony Jenkins explained how Barclays had gone back to its 17th Century roots as a financier of ambitions and opportunities. The families that created the original bank saw their role to help get the economy moving and to improve people's lives. Today, the banking world is perceived very differently and Antony made it clear he was looking to reward staff that achieved success across a broad range of measures from financial to employee-focused, customer satisfaction to wider community action. He wants his teams to think about the role of their bank in their community, funding opportunity, and providing skills and education. The aim is for staff to believe in something bigger than themselves, and look beyond measuring their "self worth" only by their net worth. Refreshing talk from a banker! Paul pointed out that public companies today last on average 18 years and their CEOs average only 4.5 years. This makes it even tougher to achieve Purpose on a lasting scale. However, it is worth remembering that Unilever, Barclays and Cadbury's are all companies set up centuries ago with a distinct focus on how they could improve people's lives and help their staff and their communities. They developed world-leading products, pioneered staff villages and schools, built hospitals, and created welfare programmes as long ago as the 19th century. They’re still pioneering, and now highlighting the old ways that have served them so well. We all left with Antony's words ringing in our ears: "Purpose is not an add-on, it’s not an initiative. It is a culture change and it never finishes." Building a happy and motivated workforce will create happy customers and ultimately happy shareholders. How are you bringing Purpose to your business or job?